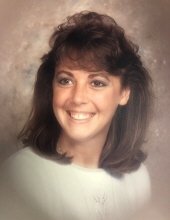 Susan Gerrells Varipapa, age 56 of Greensboro, NC passed away Saturday, April 6, 2019. She was born August 27, 1962 in Danville, VA to Rose Marie Mills Gerrells and the late William Leo Gerrells. Susan loved her students and being a mentor to them. She felt her purpose in life was to make a difference. In addition to her mother she is survived by a son Alec Varipapa of LaFayette, CO; four brothers, William Edward Gerrells of Danville, David A. Gerrells of Reidsville, NC, John Thomas Gerrells of Danville and Daniel Lee Gerrells (Karen) of Danville and best friend, Joe Varipapa. The family will receive friends 5:00 p.m. till 6:00 p.m., Monday, April 15, 2019 at Norris Funeral Services, Inc., West End Chapel, 511 Church Ave., Danville, VA, 24541 prior to the service. A memorial service will be held 6:00 p.m., Monday April 15, 2019 at Norris Funeral Services, Inc., West End Chapel. Norris Funeral Services, Inc. and Crematory, West End Chapel, 511 Church Ave. Danville is serving the Varipapa family. Online condolences may be made at www.norrisfuneral.com. To send flowers or a remembrance gift to the family of Susan Gerrells Varipapa, please visit our Tribute Store. "Email Address" would like to share the life celebration of Susan Gerrells Varipapa. Click on the "link" to go to share a favorite memory or leave a condolence message for the family.